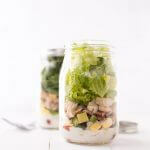 Add dressing evenly among 4 wide mouth quart-sized mason jars (2 Tablespoons each). 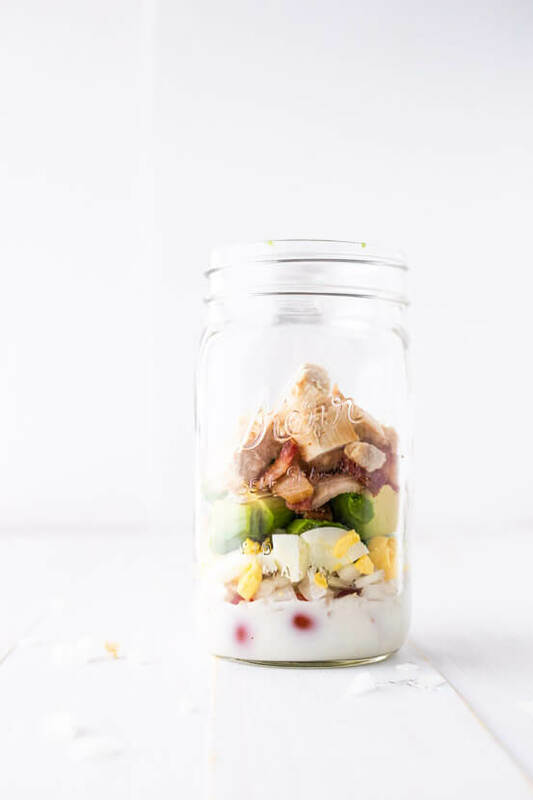 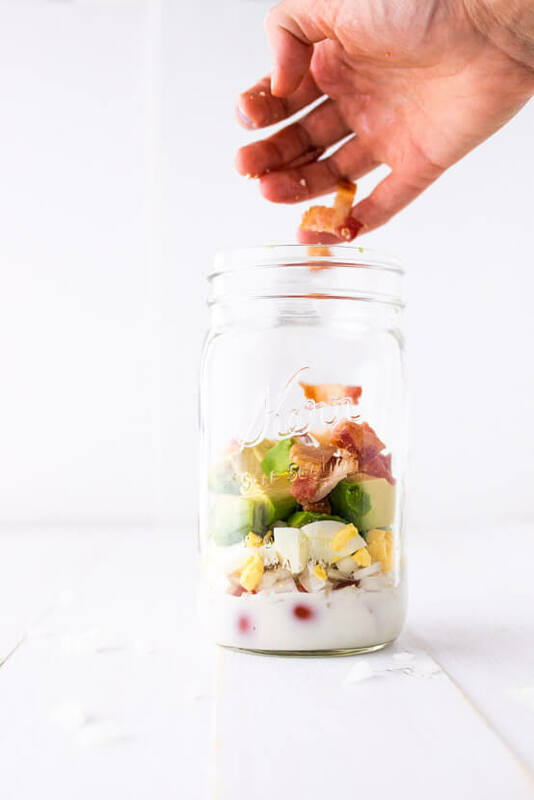 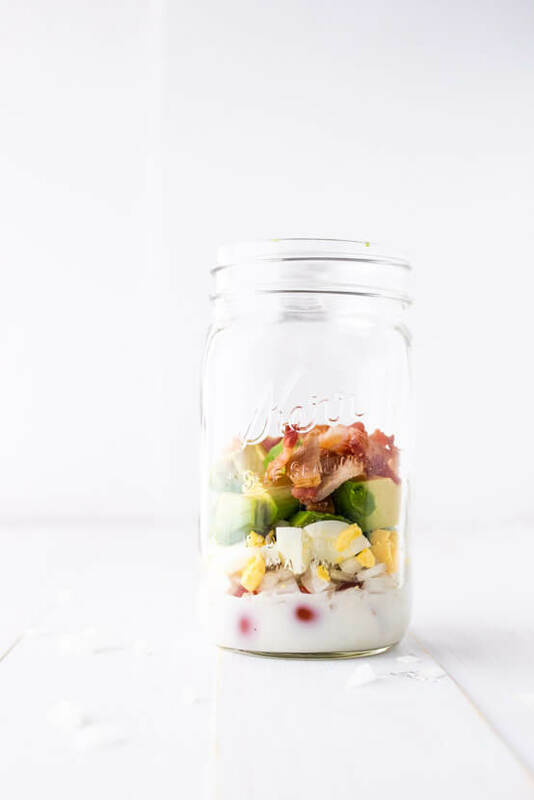 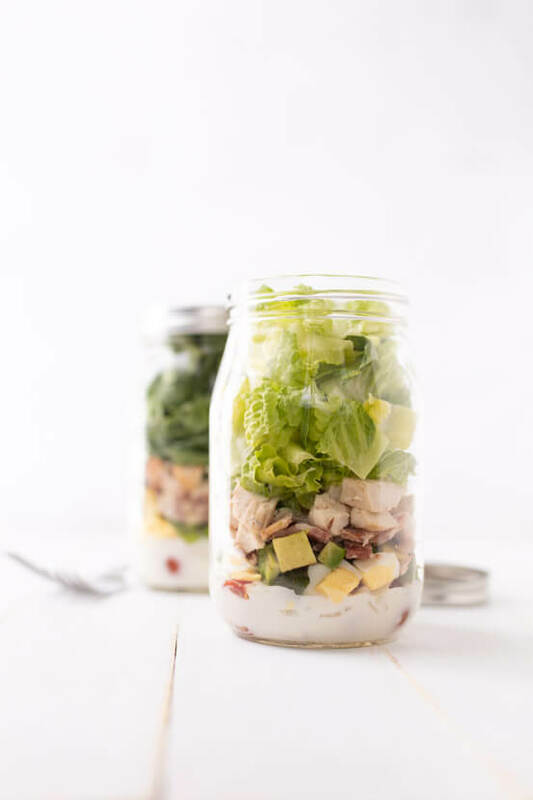 Layer in the following order dividing evenly among jars: tomatoes, onion, eggs, avocado, bacon, chicken, and lettuce. 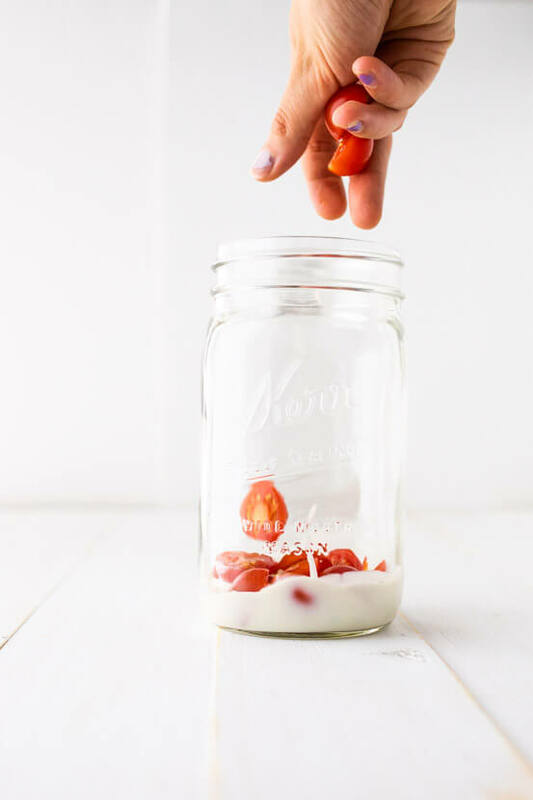 Seal the jar with a lid and store in the refrigerator for up to 5 days. 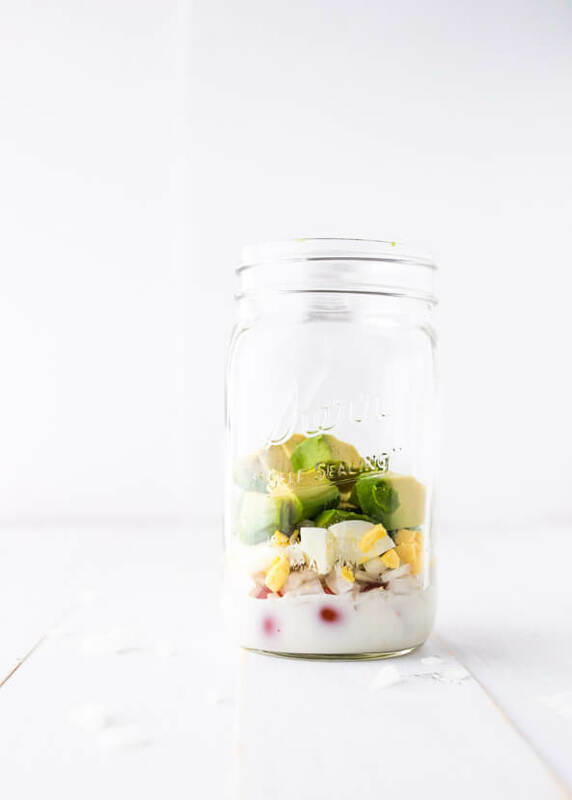 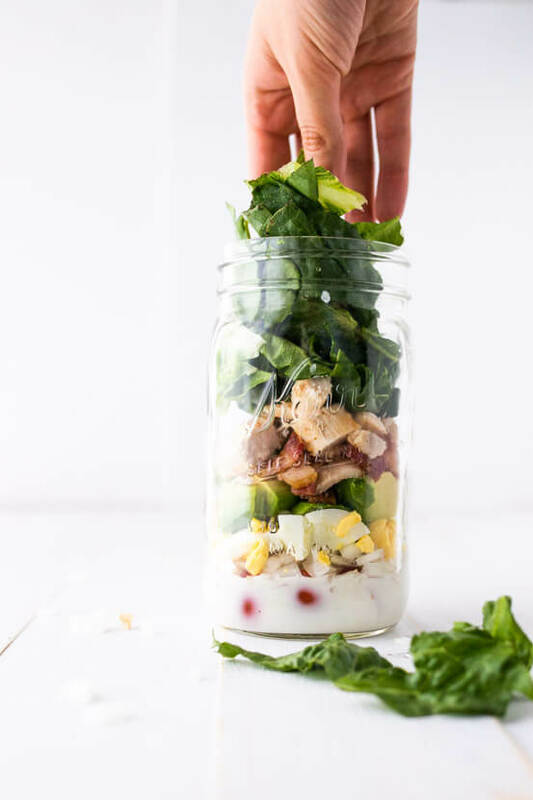 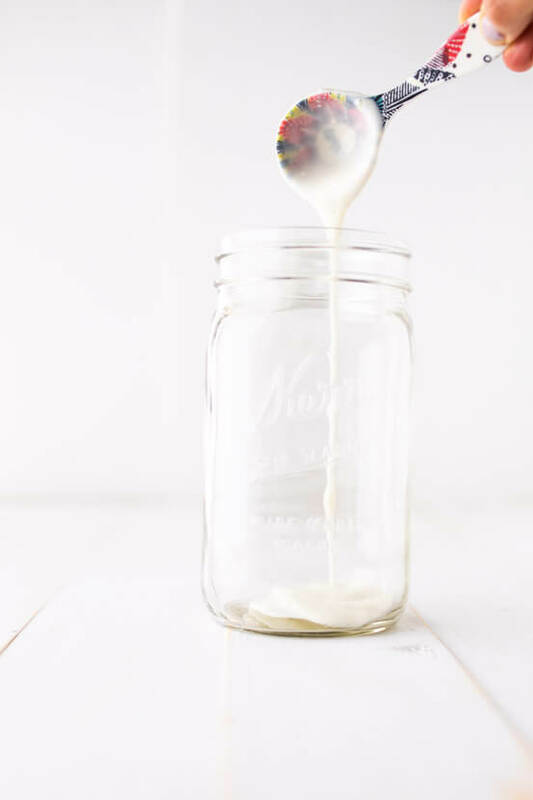 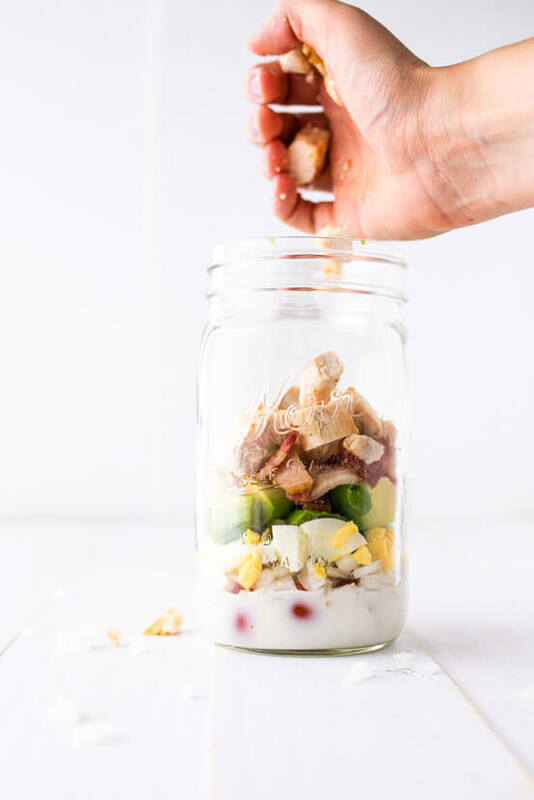 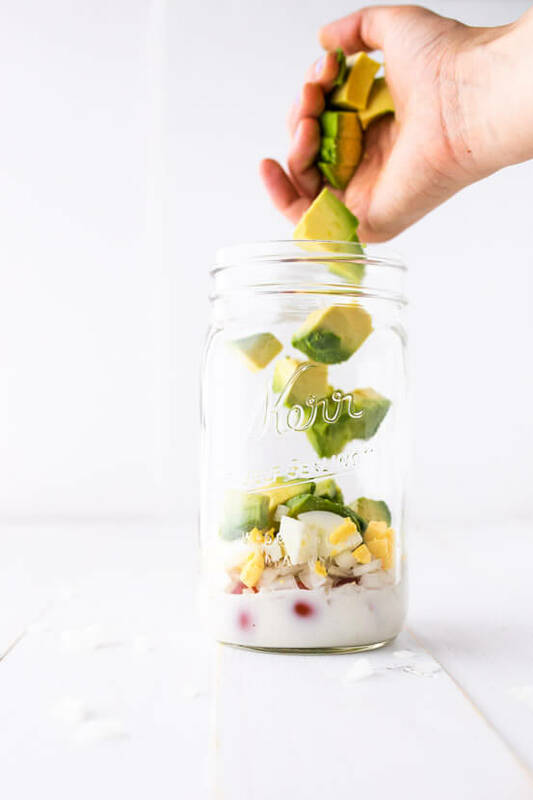 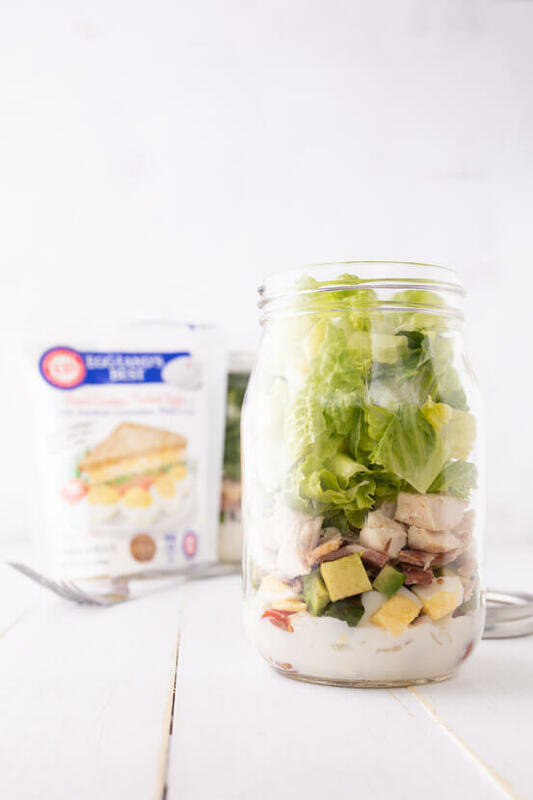 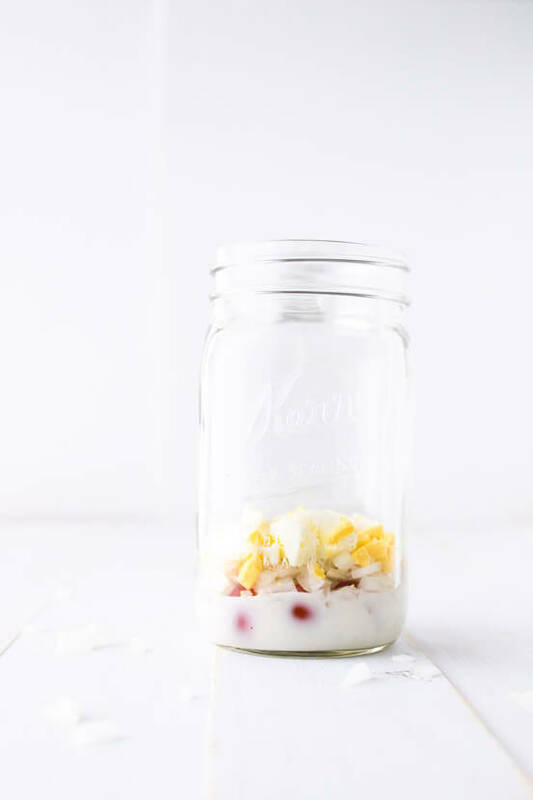 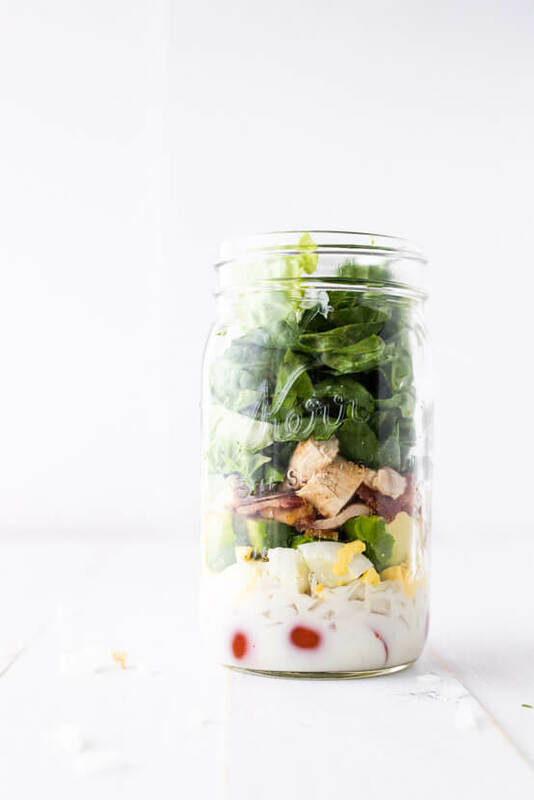 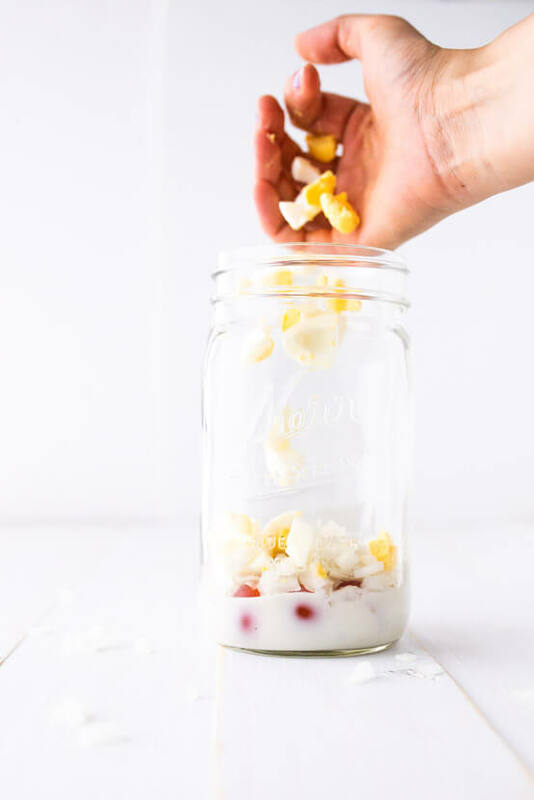 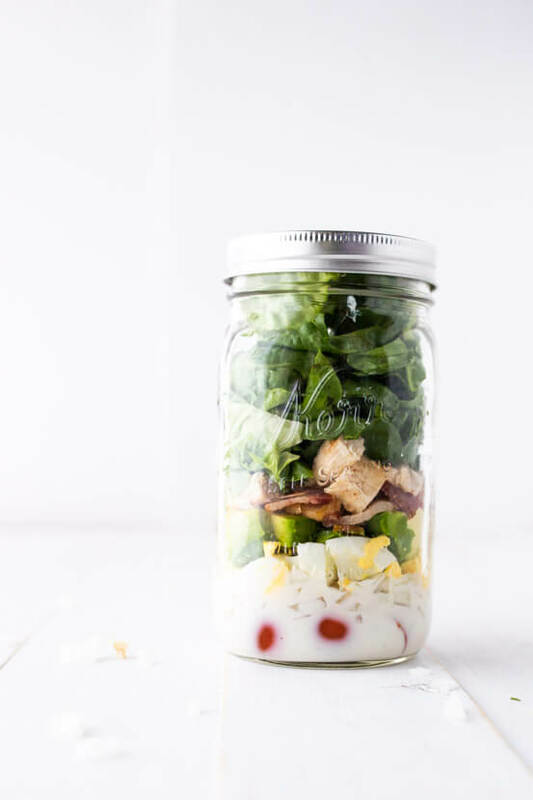 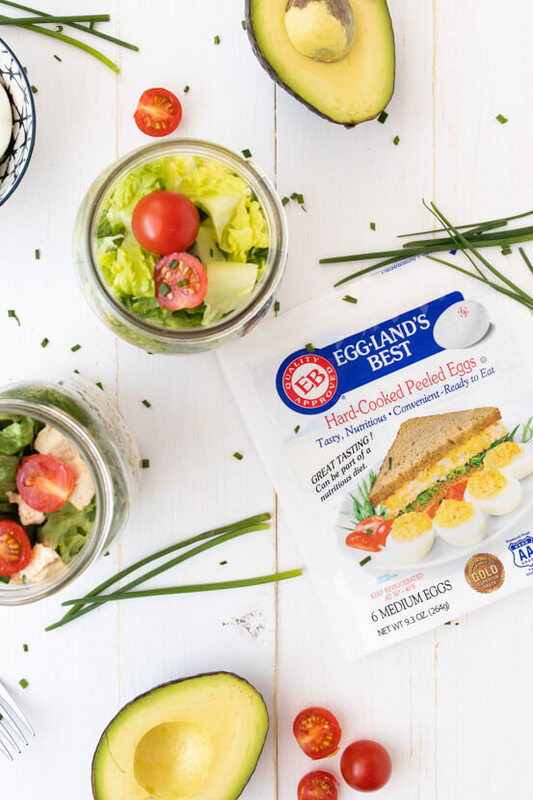 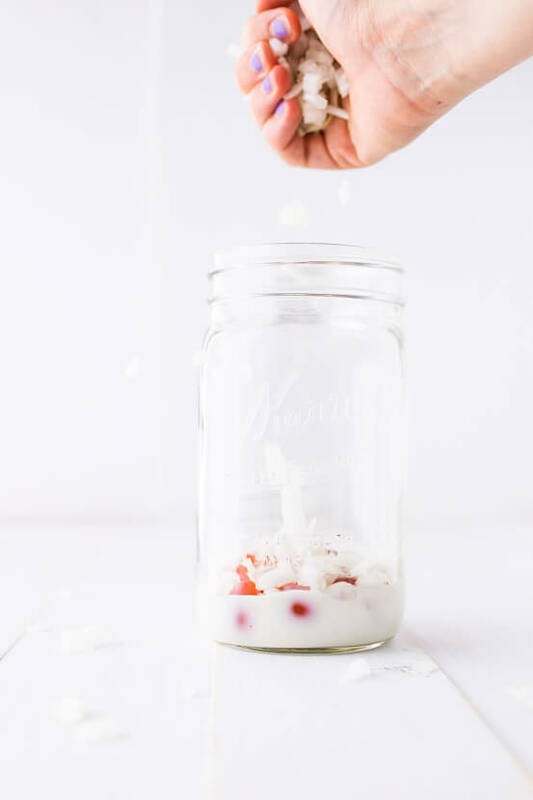 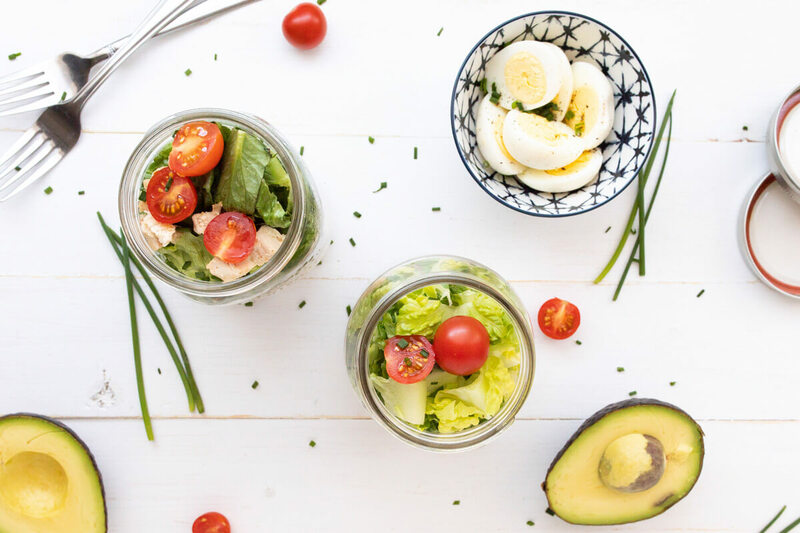 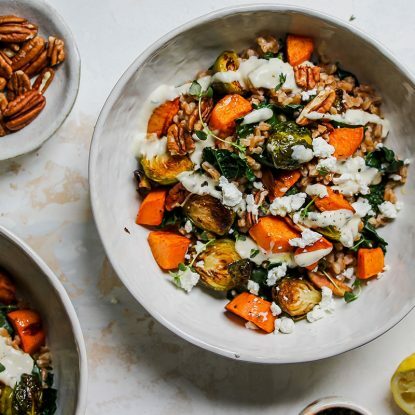 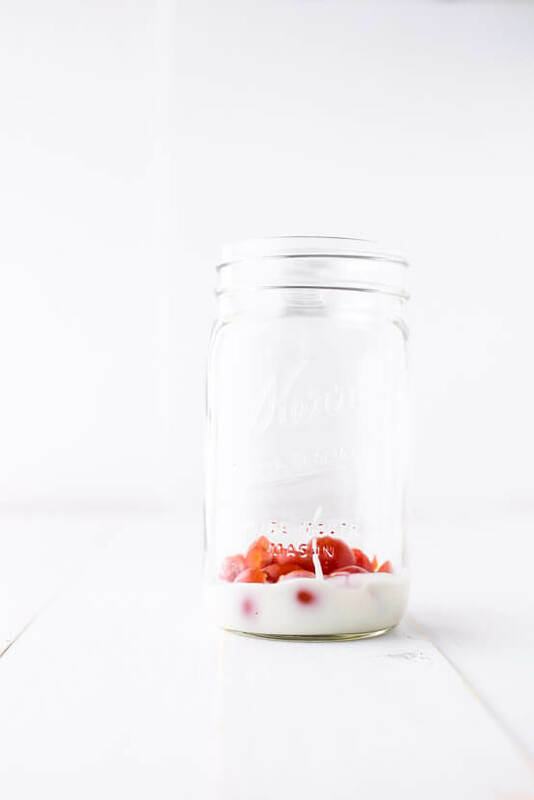 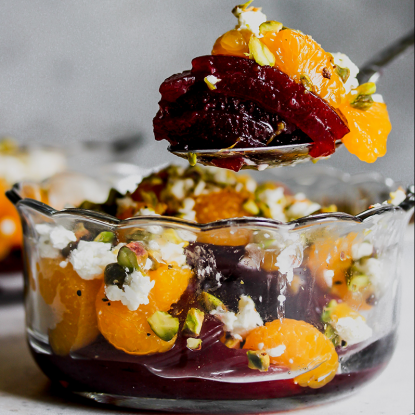 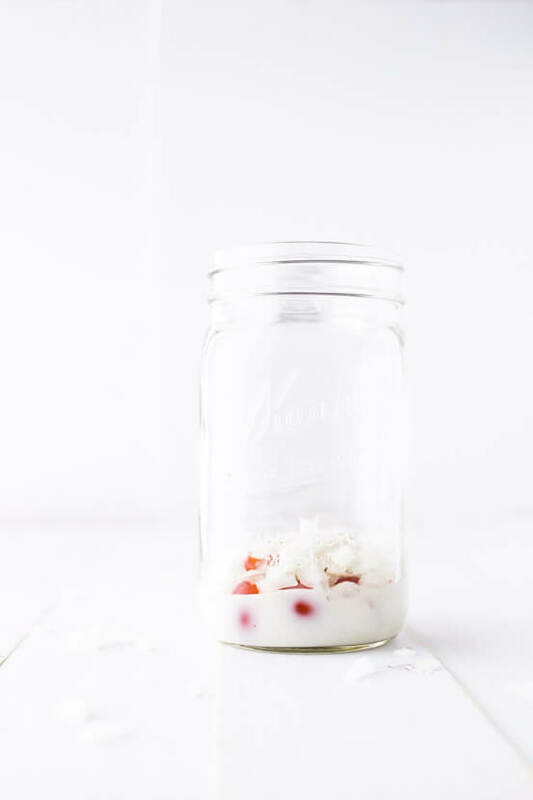 When ready to eat, shake the salad from the jar into a bowl or shake the jar (with the lid still on) and eat directly from the jar.